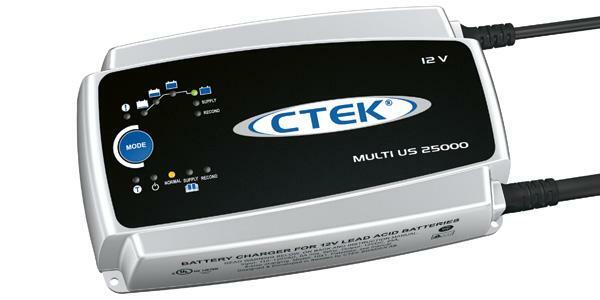 The CTEK Charger, MULTI US 25000 (Part No. 56-674) is an 8-step, fully automatic primary switch mode battery charger. 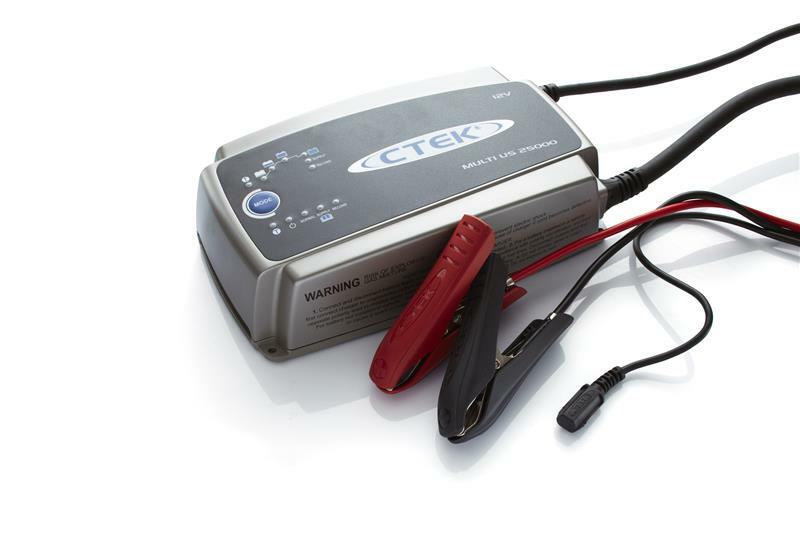 A powerful charger for 12V batteries that require rapid charging such as in garages, RV’s, boats and of course cars. Unlike old traditional battery chargers CTEK chargers are designed with focus on simplicity, safety and flexibility. **) Ripple describes the quality of the current and voltage. A high current ripple heats the battery and shortens its life. A linear charger has a current ripple of 70-400% which is much larger than the maximum 5% for a modern sealed battery. High voltage ripple could harm other equipment that is connected to the battery. MULTI US 25000 delivers voltage and current with very low ripple. The battery has a long service life and there is no risk of damage to other electronic devices connected to the battery.